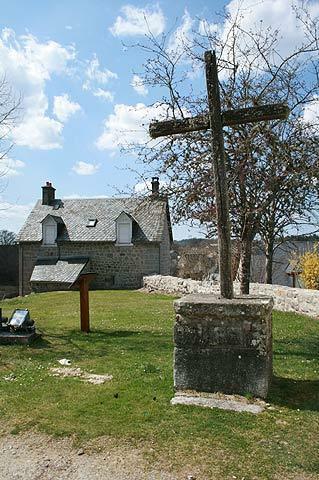 Saint-Angel is a small village located to the west of Meymac in the Correze department of Limousin. Although the village is small it is pretty so we suggest you come here for a stroll if you are staying in the region. The village is on a slope between a small fast-moving stream at the bottom of the hill and a priory on top of the hill with the road through the village passing through an attractive group of traditional houses along the way. The Priory of Saint-Michel-des-Anges is the main reason to visit Saint-Angel. The priory was originally operated by benedictine monks, and the building still dominates the village despite the monks having left long ago: it was abandoned by the monks after the French Revolution, in common with other monasteries in France that were all closed at that time. It is said that the first monastery on the spot dated from the 8th century, although no written evidence exists to confirm a building having existed until the 11th century. The Roman style church we now see attached to the priory dates from the 12th century, although it was partly rebuilt several centuries later having been damaged by fires during the Hundred Years War and the Wars of Religion. The part that was rebuilt is in the gothic style, rather than the roman style of the original church. When the monastery was empty during the period called the 'Reign of Terror' (see French revolution) it was used as a prison for the noble ladies of the region. There is also a small cemetery adjacent to the abbey. 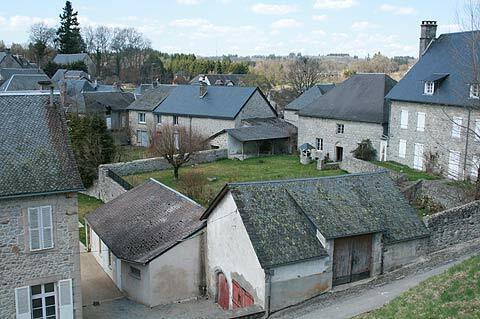 Enjoy the views across the rooftops and the Correze countryside, then be sure to wander along the quiet streets, thinking of the turbulent history that has taken place in this peaceful village. 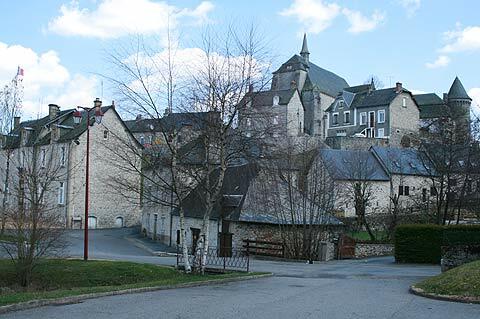 The village of Saint-Angel is close to the autoroute which leads from Brive and northern France towards the Dordogne, and would make a good place to break the journey if you are travelling to the Dordogne department. A visit to the neighbouring town of Meymac is also recommended.